For our renovation we chose the Homestyle Renovation Loan Program. Renovation loans are very complex and time consuming but well worth it. Before I talk about why we chose it and what we had to do for the loan, lets talk about the two types and the basic guidelines for the loan. HomeReady/Homestyle Renovation Loan - these two are used together and are used for principle residences. Homestyle Renovation Loan - this one is used by itself and is used for second homes and investment properties. Side bar for condos and townhomes - This loan can be used for them. The unit has to be an eligible PUD or co-op project. The project must be permissible under the homeowners’ bylaws and covenants and will have to get written permission for the renovation work. The renovations must only be for the interior of the unit. Can be a either a fixed rate mortgage or adjustable rate mortgage. Cannot exceed Fanny Mae maximum mortgage amount guidelines - Click on GA Counties Loan Limit. This will show you the guidelines for each county and limits for one through four units. The cost of the renovations cannot exceed 50% of the "completed" appraised value of the property. Can be used for a purchase or refinance. Loan amount will be $210,000 of that $10,000 is a contingency. If you use none of the reserves then then the $10,000 will be applied to the principle of the loan. It will knock down the loan amount but will not change your payment. I will talk more about the contingency a little later. Other fees such as appraisals, review of renovation projects, etc. Lender and closing costs - included in the loan. Architectural – we had drawings completed – these were paid by us before we started the loan process. HUD consultant fees – This was $1000 plus $220 per draw. There are 5 draws. We only had to pay $545 to the Hud consultant and the remaining fee and draws were included in the loan. Appraisal – we paid $550 for the appraisal. Just like a standard loan. Our out of pocket costs, besides the architect, were very little. It is one of the most cost effective renovation loans on the market. Our out of pocket costs are below. If you take out the architect – our total fees were $1,021.88. So if your project does not require architectural drawings then your fees should be low. One thing to remember, the amount you have to bring to closing depends on the after renovation loan value (ARV). We will talk about this in a little bit. Contingency Reserve (10% of the cost of labor, materials, and soft costs for unforeseen extra costs in the renovation). A contingency reserve of 10% of the hard and soft renovation costs is required for two- to four-unit properties; the contingency reserve may be financed or it may be funded separately by the borrower. Here is how the 10% contingency or reserve works. This reserves can be used for any unplanned repairs or renovations are needed. It is a protection so that if something happens there are funds there to pay for it. If only $5,000 of the reserves were used then the remaining $5,000 will be put toward the principle once the renovations are complete. During the renovation, the contractor will get five draws for funds to finish the renovation project. The draws will come out of the renovation funds in the escrow account. How this works is below. The Hud Consultant will come out and inspect the work. This is done to make sure that the work on the draw request was completed by contractor. If there was an unforeseen repair that was not included in the estimate and contractor asks for more money than what was on the original estimate, there has to be a change order. A change order will state that the contractor has to use additional funds due to the unforeseen repair. That is when part of the 10 percent contingency will be used. The draw money will be sent to the owner of the home. The check will be written out to the contractor and the owner. This is done to protect the owner. Once all the work has been completed then the final draw request will include the final draw money and the 10 percent that was held back. Here is where the tricky part is. There are two 10 percent contingencies (technically). The first one is for any repairs that are unexpected and that can be used in each draw if needed. The second 10 percent is for the protection of the owner. 10 percent is held back on each draw to make sure the contractor is getting the work done. If there was an issue with part of the renovation that 10 percent will not be approved until the issue is resolved. That 10 percent is the owner's leverage in making sure the work is completed. If you do a renovation loan, you will be required to use a HUD counselor. I did not want to but after I talked with the HUD counselor, I am glad I have one. The HUD counselor works for you. There is a fee for and it is typically $1000 and then $175-$225 per draw. The HUD counselors role is to write up the estimate from the builder and then send it to the bank and the appraiser. The consultant will also inspect for the draw money. One thing to remember - the numbers will differ depending on your loan and project. There are many factors that go into the loan such renovation costs, loan to value, after renovation appraisal, etc. This is where the experience of the lender really helps. I cannot stress enough, how important the lender is. It is all about the numbers. The lender will qualify you like any other loan. The lender will ask you for the basics. There might be other request depending on what the lender sees. Once we got qualified we started talking about the renovation loan. The next step that we did was to finalize the numbers with the builder. Once the numbers are finalized then you will call the HUD Consultant to come to your home. I walked the consultant through the project and answered all the question he had. After the meeting the consultant took the contractors estimate and wrote it up on a Conventional Renovation Project document that will be submitted to the lender and appraiser. It is a long form. Ours was about 36 pages. There will be several revisions of the HUD Consultants Conventional Renovation Project document between you, the builder, and the consultant to make sure it is correct. Read the entire document and compare to the estimate. It is very important that it is correct. Once it is correct, everyone will sign the document and it will be sent to the lender and appraiser. Once the appraiser has the Conventional Renovation Project document he will complete the After Renovation Appraisal (ARV). 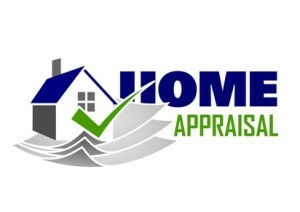 An after renovation appraisal is an appraisal based on the value of the home after the renovations. Below are a few things you will need to know when you talk with the appraiser. We had a real issue with the appraisal. When the appraiser came to our house, I gave him a copy of the architectural drawings, and four pages of comps and explanations. He was in over his head and did not understand the scope of the project, the subdivision, or area. The first appraisal came in way to low. It took two weeks to clear up and many hours sending emails with comparables, statistics, architectural drawings, etc. Make sure the appraiser knows the scope of the project. 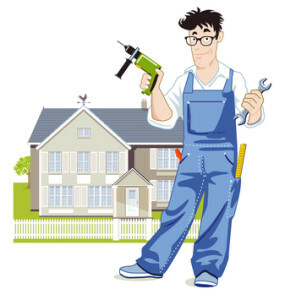 Make sure he understands renovation loans and specifically the one you choose. Ask the appraiser questions about the area your home is in. 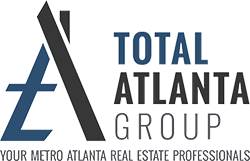 For example, if you are buying a home for sale in East Cobb or refinancing and renovating the home you live in, make sure the appraiser knows that area well. My mistake was that I knew the appraiser was in over his head. I thought that he got a good understanding after I explained everything. I was wrong. If you think the appraiser does not have a good working knowledge of renovation loans or the area, call the lender immediately and ask for a new appraiser. The last thing you need is to buy a home in the Walton high school district and the appraiser is from Cherokee County and does not know the area. There is a good chance you appraisal might come back low. Once we fixed our appraisal issues, the lender will finalize the numbers. Again, this is where having a lender that knows renovations are important. Here is why. Originally the money we had to bring to close was about $5,000. As the lender worked our numbers he was able to get it down to $26.88. AWESOME!!! 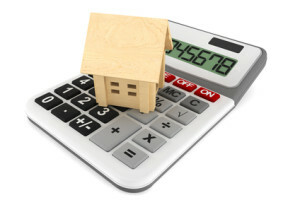 Make sure you look at the numbers the lender will send you and ask questions. You need to know about every number and what it is. Once you are comfortable with the numbers- they get finalized but the lender and closing attorney. Then you close and start your renovations. It sounds complicated but it is not as bad as it looks. I live in Smyrna and I see lots of homes for sale in Smyrna, especially the brick ranches that would be great for the Homestyle Renovation loan. You just need to have the right people in place. We had the right lender, HUD consultant and contractor to help us.